The Prune (Prunus salicina L.) is a dried version of the plum, sticky sweet, delicious and high in nutrients. 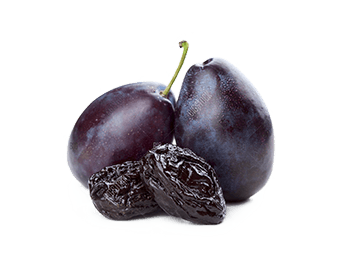 Prunes are rich in dietary fiber and support digestive health and regularity. Prunes also contain large amounts of Vitamin A, copper, potassium as well as a high content of unique phytonutrients.